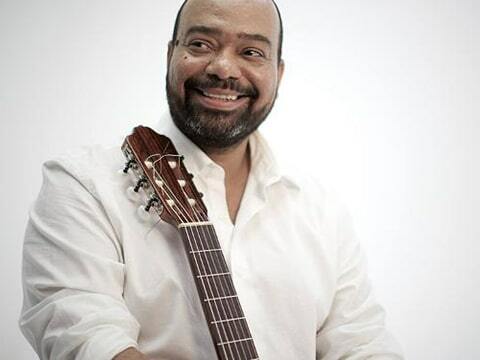 Paulo Flores, author, composer and interpret, is one of the most important references of Angolan music and a indefatigable advocate of semba. At the age of 44, he celebrates 30 years of carrer, punctuated by 15 records. He’s performed with some of the biggest names in Afro-Luso music, including Tito Paris, Lura, and Sara Tavares. Flores was appointed a UN Goodwill Ambassador for Angola in 2007, performed at WOMEX 2014, made his U.S. debut in 2015 and has been one of the celebrity judges on the Angolan version of the hit television show The Voice since 2015. Flores scored his first hit as a teenager in the ‘80s, as one of the original architects of Angola’s immensely popular kizomba dance music. Today he keeps the flame of semba music burning bright in the 21st century. Semba is the elegant, earthy, African cousin to Brazilian samba — and the root of today’s kuduro and kizomba dance crazes. Flores’ poetic compositions focus on everything from love and life to history and politics, tapping into the deep roots that make semba the repository of decades of Angolan wit and wisdom. In a country where the deep wounds of civil war are plastered over with new oil money and a beachfront building boom. Paulo Flores keeps a nation’s conscience and memory alive, and gives voice to the soul of a nation.